with many exceptional June events and more upcoming in July. 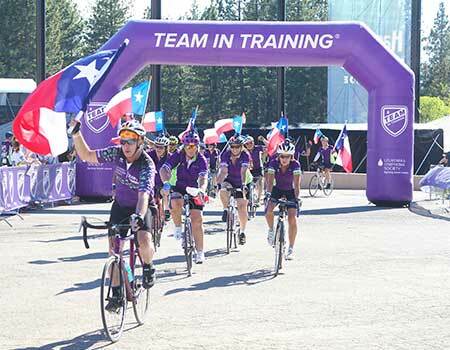 America’s Most Beautiful Bike Ride on Sunday June 3 was sold out and had 3000 participants with 1040 Leukemia & Lymphoma Society Team in Training bicyclists coming from 47 different city chapters. The Ride raised $4.7 Million. This was a great weather day and no medical injuries were reported and was deemed a safe ride. 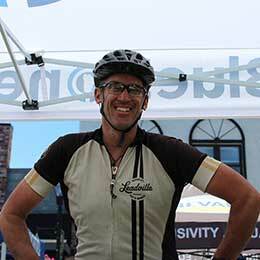 The Lake Tahoe Bicycle Coalitions Tahoe Bike Challenge, June 1-14, came off with no hitches and motivated both individuals as well as business teams to log their miles. Participants logged 11,138 Green Miles, burned 478,934 calories and reduced CO2 emissions by 12,008.6 lbs. and resulted in gasoline savings of $2476. 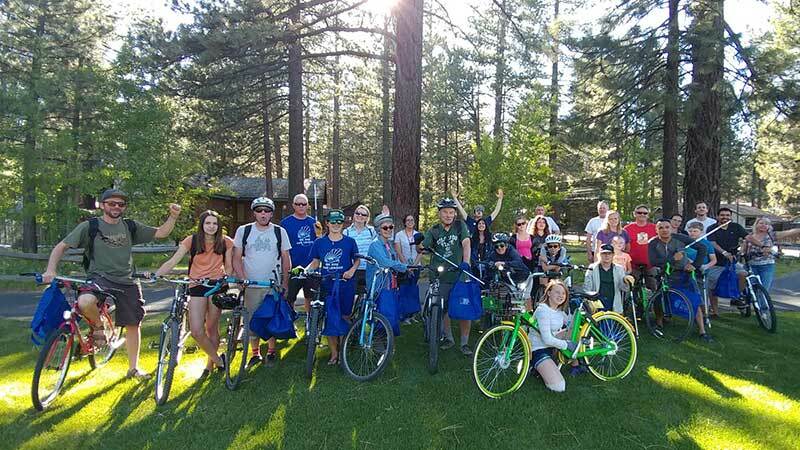 On June 14, in partnership with Keep Tahoe Blue, they had over 50 participants collect over 100lbs of trash along South Shore’s bike paths. I visited the Sponsors Expo on Friday and viewed a variety of products that were available that supported the event. 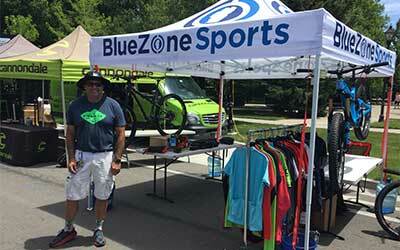 Brent Springbett from Blue Zone Sports was also on hand to support the event. Governor Bryan Sandoval greeted the riders in the Assembly Chambers with open arms and signed two Lake Tahoe History Photo books as well as commemorative Nevada License Plates to honor the first place finishers. Carson City Mayor, Bob Crowell also welcomed the riders and presented two special coins for the winners. Randy Gaa, the President of Muscled Power that organized the volunteers, greeted the riders as well. 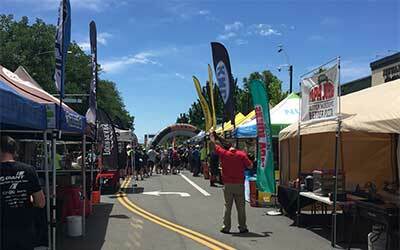 As I looked around, there were riders from all over the country, but mostly 20- to 30-year-olds as well as older competitors into their 50s and youth teams of high school and college ages — a good cross section of participants. 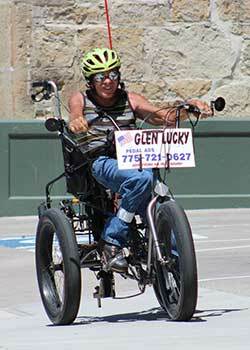 Handicapped Carson City Bicyclist, Glen Lucky was also on hand at the finish to cheer on the riders. 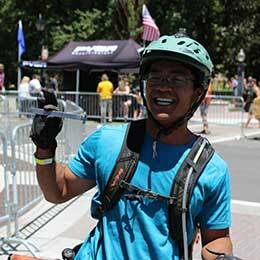 Saturday’s venue featured the Amateur Capital 35 and Capital 50 Backcountry Rides. The day’s weather reflected blue skies and light winds, but also warm temperatures that would take its toll on the field. The Capital 50 started at 7:30 am followed by the Capital 35 at 8:15 am. 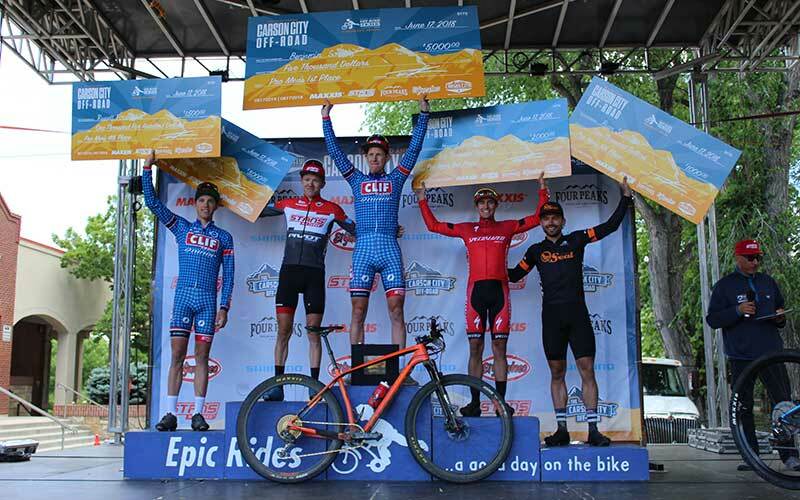 Ciro Zarate won the Capital 35 with a time of 3:32:09 and Spencer Powlson sponsored by Velo News captured first place in Capital 50 with a time of 4:06:02. The Finish Line was directly in front of the Capitol Building offering some stadium seating to view the finishers. Local friends and participants included Bridget Webster from Reno in the Women’s Masters Capital 35 mile ride division who finished in 6th place, just off the podium, with a time of 5:20:09. She fell along the course when she touched tires with another competitor on a narrow section of single track and sported a wounded knee and elbow. 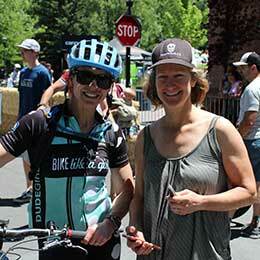 Paige Galeoto who won the Women’s Masters Capital 35 Ride with a race time of 4:40:03. Merick Rickman from South Lake Tahoe, finished 36th, in the Men’s Cap 50 mile race with a time of 5:23:31. The Pro Men & Women raced on Sunday morning and weather conditions were cool & cloudy with rain falling just after their 8:30 am – 8:40 am start time. 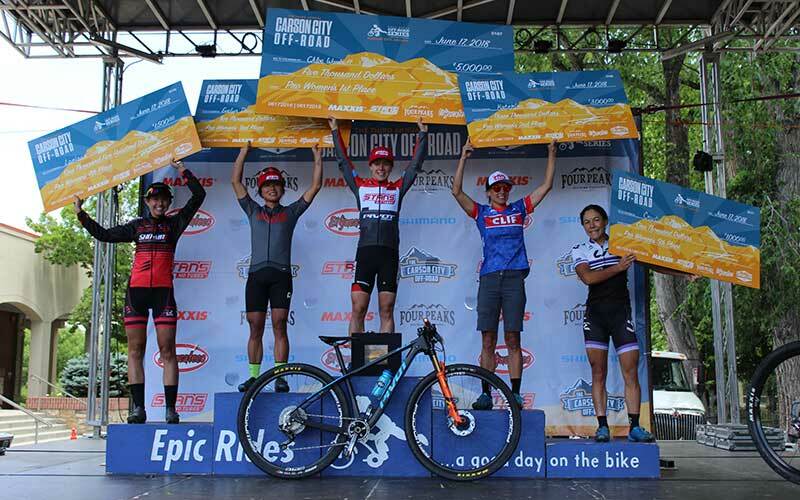 Pro Women’s podium with Chole Woodruff taking first place and $5000 award. She completed the course in 4:15:11; 2nd went to Katerina Nash, 4:16:07; 3rd to Evelyn Dong, 4:19:37; 4th to Larissa Conners, 4:23:37; and Crystal Anthony taking 5th in a time of 4:26:29. Pro Men’s Podium with Benjamin Sonntag crossing the finish line with a time of 3:34:35 and winning $5000. 2nd place went to Keegan Swenson, 3:34:36; 3rd place was Howard Grotts, 3:34:36; 4th went to Russell Finsterwald, 3:34:52; and 5th place to Ryan Standish with a time of 3:37:10. 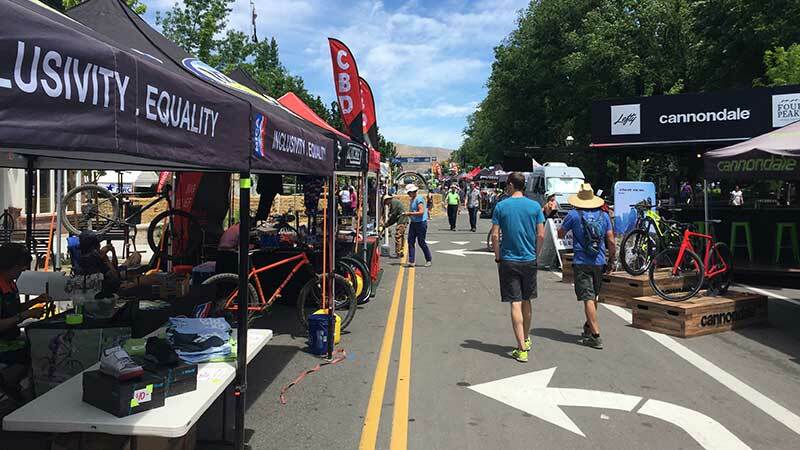 Bicycling action in and around the Silver State continues in July, with the Death Ride – Tour of the California Alps, set for Saturday July 14. 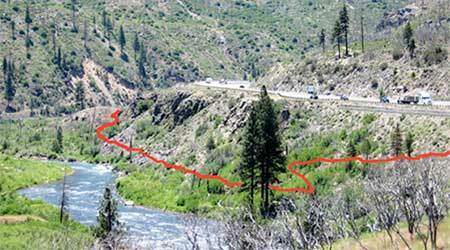 This event is a challenging ride, ascending and descending 5 mountain passes out of nearby Markleeville in Alpine County California. Another event out of Southern Nevada and organized by Biking Henderson is Ride on I-11 – First and Last Chance. Held on Saturday July 21, 6 – 9 am, meeting at Veteran’s Memorial Park at 1650 Buchanan Blvd in Boulder City. This is the bike, walk & run of the Interstate 11 bypass before it is open to traffic. A self-supported, casual, fun ride asking for a $20 donation to benefit the Southern Nevada Bicycle Coalition. By July, daytime temperatures in both Northern and Southern Nevada warm up and the traditional Dog Days of Summer usually forces bicyclists to ride in the early morning hours. Watch for Bicyclists, Share the Road & Give Bicycles 3 Feet when passing. Ride On! Discover the biking trails of beautiful Carson Valley! The final section of Tahoe-Pyramid Bikeway from Lake Tahoe to Reno is being constructed in the Truckee Canyon, and the nonprofit behind the trail has changed its name to the Tahoe-Pyramid Trail. Phillips said the Tahoe-Pyramid route is not paved outside urban areas, but everywhere else, the trail is on a dirt road or path.